Samsung’s innovative products are currently offered at flexible payment options or with generous discounts through the Flexi Home Deals promo. The promo is now on its final stretch and is valid only until September 30. Today’s millennial parents are modern-day heroes in their own right. Most of them keep a full-time job but give equal if not greater importance in spending time and taking care of the family. Samsung is proud to offer state-of-the-art home appliances that intuitively understand and care for the family’s needs. Samsung’s newest digital appliances are known to go beyond the usual functions of a refrigerator, washing machine, microwave oven, and air conditioner. These products are loaded with innovative features to make life easier and more convenient for its users. “Filipino parents work their hardest so they can provide the best for their family. We at Samsung want to give them the ease and efficiency that they deserve through Samsung Digital Appliances. Our products can be their ‘Partners in Life.’ Samsung’s cutting-edge technology can help accomplish house work with greater comfort and efficiency, so modern homemakers may spend more of their time and energy with their loved ones,” said Stephanie Chua, Head of Product Marketing, Digital Appliances. Each of Samsung’s digital appliances carry an important role in the household. With its capability to keep food fresh up to two times longer, the Samsung Twin Cooling Refrigerator is the modern home’s partner in freshness. Keeping food fresh longer means tasty and healthy meals at the table and less trips to the grocery to enjoy more quality time with the kids. Samsung’s AddWash technology for washing machines makes laundry days easier by allowing more clothes to be added in the middle of a wash cycle so there’s no need to wait for the next laundry day to wash missed items. 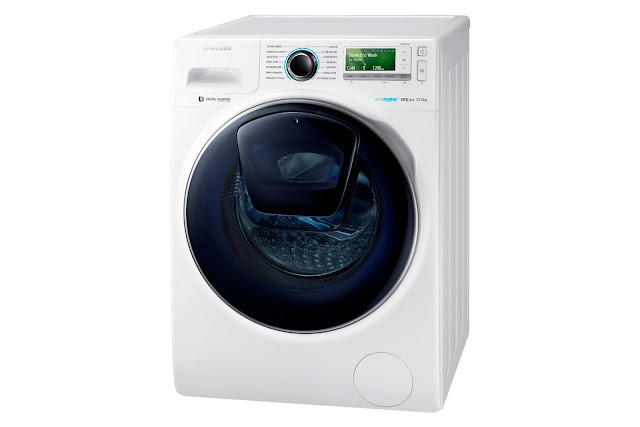 With its Wi-Fi capability, the Samsung AddWash Washing Machine allows homemakers to monitor the laundry via their smartphone while they do other tasks. Lastly, Samsung’s innovative Ecobubble™ Technology uses air, water, and detergent to create powerful cleansing bubbles that ensure a faster and thorough clean. Laundry days can be a breeze with the Samsung AddWash Washing Machine, making it the modern home’s partner in convenience. 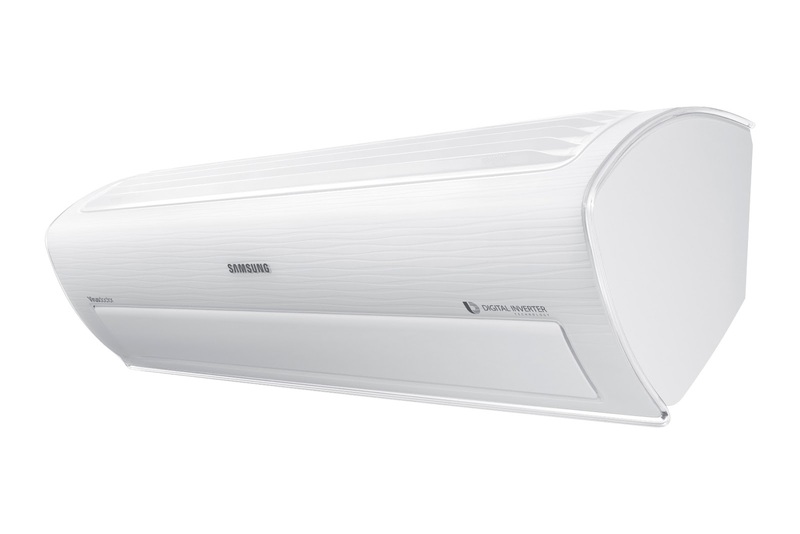 As the home’s partner in comfort, the Samsung’s Split-type Air Conditioner offers hours of reliable cooling and unparalleled energy efficiency through its Digital Inverter. It is the first to use an 8-pole inverter that ensures a more efficient operation with less vibration and noise, while its Wi-Fi function via Smart Control enables the user to control the air conditioner using their smartphone or tablet. Altogether, the Samsung air conditioner ensures a comfortable sleep or leisure time without a worry about noise and steep power costs. 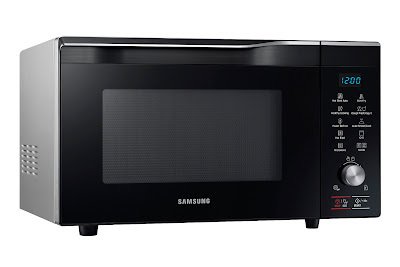 Lastly, the Samsung Microwave Oven gives access to easy and healthier cooking. This microwave oven can do much more than heat meals. It uses Samsung’s revolutionary Slim-Fry technology to cook crispy food with just a touch of oil. It also reduces cooking time, grills meats, and even ferments dough or yogurt, making it a partner in delight in the kitchen. Now is the best time to upgrade to smart digital appliances. Samsung’s innovative products are currently offered at flexible payment options or with generous discounts through the Flexi Home Deals promo. The promo is now on its final stretch and is valid only until September 30. Customers can save up to Php30,000 in discounts if they purchase Samsung Digital Appliances in full cash payments. For those who opt for easy deals on installment, discounts are also available for payment periods of 6 months, 12 months, and 18 months at 0% interest. Catch Samsung’s Flexi Home Deals promo until the end of September at selected Samsung dealer stores nationwide. For more information, visit http://www.samsung.com/ph/offer/flexideals2016/.